AIB Threading Salon has been home to Grand Prairie, Texas's most trusted professional estheticians for more than eight years. First-time customers have turned into loyal customers and keep returning for our quality work and attention to detail. Read what our clients have to say. It was my husband and I first time ever getting our eyebrows threaded, and we loved it! Garmia was awesome! Highly recommend it! AIB Salon you've gained two loyal clients!!! "This is a nice and clean salon. I love coming here for my Eyebrows. Most of the time no wait or very little wait. Asha does an awesome job andloves how she take care of my eyebrows. She is very professional and knows how to take care of her clients. She stops in between just to check make sure I am OK and not hurting. She is very polite and sweet lady. All the ladies so sweet and love the service I receive every visit. They great every time nice smile. I am definitely not going anywhere else to get my eyebrows. you should try them out too. Best Threading place in Grand Prairie, TX." "This is a very nice location with a great staff! : ) I love going to AIB Salon. They always do an awesome job and my eyebrows look perfect every time. Asha always take good care of her clients... I am definatly not going anywhere else and will recommend tham to all my friends as well"
"AIB - is an awesome place to go. There have a lot of quality work in different areas. My facials are awesome & threading .they are always running promotions which a great to save a dollar!!" "Always happy with my services thank you so much for all you do!!!" "It was my first time having my eyebrows threaded. She was very knowledgeable and considerate about how we should style and shape by brows. Very friendly! Gave me several tips on how to get the best outcome. Will definitely be back :)"
"This is my go to place for eyebrow threading! The prices are great, the salon is clean (not fancy, but clean) and they are fast - so I'm in an out quickly. Garima is my regular technician - she's wonderful!!! About 6 months ago I had a botched eyebrow job - too thin. My eyebrows are naturally slightly uneven, so we had to let them grow out a little, but she did a great job keeping them shaped during the growing process. Now it's summertime and my face looks fabulous! She makes them look even although one side naturally higher than the other. Thanks Garima!" "My experience was awesome at this location. They are all very professional and kind!" "I'm a MUA (Makeup Artist) and a female that loves her brows, so...I don't always trust people to do my brows. I would travel miiiiiiles just to have one person do my eyebrows and pray to God it last for months. So, I decided to check out this place near my home...literally walking distance. I got in the chair of a young lady named Germa, she's my age (20+) and we related so much. So I felt comfortable with her. She has thick dark brows like I do ( & when I mean THICK, I'm talking Drake THICK !). She understood the shape and how thin I wanted them so they don't grow back so quick. She did an amazing job! After tweaking a few times, she was perfect. Now, every time I come in, she knows my exact shape I want and how I want it! If you're a college student, or in school, you pay $7 if not, you pay the original price of $10. I'll always come back!!!" "No wait, very attentive. $16 for lip and eyebrow threading. Would recommend." "I love aib salon. They are well managed and polite. They are always clean and professional. The waiting is less than 5 minutes always. I did my eyebrows threaded first time with garima as my friend recommended her. I was very scared to try it. But she comfort me and made sure that I am ok. And I loved my eyebrows she did it exactly what I wanted. I recently did heena with her and she did brilliantly. Definitely returning and would recommend you to try them because Threading doesn't hurt if you do it in Aib salon." "I have been going to Aib salon for a while now. All the ladies are awesome and sweet. Salon is very clean and very professional. I see Garima for my eyebrows and don't miss her. She does the best work. She makes sure that you like your eyebrows before you leave. My mom tried facial and she is super satisfied with the service. They have great deals. She also bought membership with them. So yeahhh ofcourse returning back in two weeks." "I love the professionalism of these ladies!.. When I walk out of this place i feel GREAT!.. My eyebrows always look GREAT!.. I also love the homemade Pedicure!.. And the FACIALS!! All I can say is OH MY GOODNESS!!!.. You have to stop by to understand! Great customer service. Excellent work on my eyebrows. Best place to get your eyebrows threaded." "Great customer service. Excellent work on my eyebrows. Best place to get your eyebrows threaded." "AIB Salon is the best salon in Grand Prairie. The lady that did my eyebrows was very kind and gave me confidence to do eyebrows since it was my first time doing it. Salon was very nice and clean. I loved aib salon and definitely returning back. GREAT WORK!!!!!!!" "I recently relocated to Texas and was use to Yon back home. I have tried a couple of different shops here in TX but I think I finally find a salon for eyebrow threading. Asha was very professional and efficient. Thank you and I will see Asha in 3 weeks." "The salon was very well kept!!! I was greeted as soon as I came in and the lady did an AWESOME job on my brows! Best service ever.. I am a first timer but I think I am done with waxing from now on my eyebrows look great!! I would HIGHLY recommend this place to family and friends!" "I went to go get my eyebrows done. They were amazing. I was in a hurry so I did not have more than 30 minutes. I definitely recommend this salon because they are so amazing and so great. They definitely know what they are doing. They are very well at it. The recommendations are perfect. My eyebrows feel and look like top notch." "Decided to visit based off reviews. Both my 15 yr old daughter and I received a threading from Sonu, and I may say she did an excellent job. Her henna skills are also on point...will be back soon! If you like to get your eyebrow threaded then I will say give AIB a call and I am sure you will love the service." "I went to see Asha at the salon and had her do the microblading and let me tell you she is amazing! The process was painless! I have never been to a salon where all the staff is totally is friendly and very professional. Very clean and professional! Totally recommend to anyone looking for a salon that does a variety of services!" "I had a wonderful experience. I don't recall the lady that did my eyebrows for the first time but I'm certain they all are very friendly, my eyebrows were left very nicely & didn't leave me disappointed. 10/10 would recommend. Great service and amazing work! I love it." "It was my first time at this salon. The service was absolutely great. They are very professional. I got right in & out in a timely manner. Asha was very nice & my eyebrows look great!!! There are now two eyebrows on my face instead of one fuzzy caterpillar. Very nice staff, very clean...my visit was pleasant and relaxing. Will be going back!" "I went to the Arlington location for the first time. Very clean and nice place. The staff was very friendly and love the customer service I received. I was greeted with smile and it was in and out. She did the amazing job on my eyebrow I gets lots of compliments." "I went to the new Arlington location and I love the salon its really nice and clean place. I love the service I received. Staff was very professional and did a great job on my Brow. I am coming back for more again." "I've been coming to the new Arlington locations since they open here. I love the service I receive it every time. Very friendly and professional staff. I am defiantly telling all my friends to come try them. Asha is great and very sweet and she knows what she is doing. If you like your eyebrows threaded then try them out." "Great service excellent at threading (: I love it." "I tried so many threading salons but never get good results, but now I want to say I found the best threading salon in the DFW area, which is AIB Salon. Asha is really gentle when it comes to threading eyebrows. Before she even started she asked me how I would like my eyebrows shaped. I appreciated the friendly customer service and that she was very good and patient with me (I got the full face for the first time and so areas were sensitive!) She is a really great threader. I will recommend her to all my friends. If you like to get your eyebrow threaded then I will say give AIB a call and I am sure you will love the service." "I went to AIB Salon for the first time and I am really happy with the service I received. Very clean salon and staff is very friendly and I like that everyone greeted me with smile. Asha did a great job on my eyebrows and I am really happy with how my eyebrows look. I am definitely going back to AIB and will recommend them to all my friends as well. Great people." "I had a wonderful experience. I don't recall the lady that did my eyebrows for the first time but I'm certain they all are very friendly. My eyebrows were left very nicely and didn't leave me disappointed. 10/10 would recommend." "I went to get my eyebrows treated and she was great. I recommend people come here. Such good service." "I been going to AIB Salon from past few months and I love the service I always received. Asha and Sarita both are really good and they know what they are doing. Doesn't matter who you get you eyebrows done they always do great job. I tried the eyelashes extensions last time and I love it. Salon is very neat and clean and staff is very friendly. I will recommend them to all my friends. Try them out." "I went there for first time. I am really happy with the service and warm welcome I received. The whole staff was great. Asha did a wonderful job on my eyebrow. They came out perfect and I been getting lots positive compliments about the way my eyebrows looks. I am differently going back to see Asha. If you like the threading I would say go try the once I am sure you will like the as well." "Love, love, love this place!!! Best threading I've ever had! Also got the eyebrow tinting - changed my life! Don't even have to do my eyebrows in the mornings now. I am now a loyal customer!!!" "I went to get my eyebrows threaded and she was great I recommend people come here such good service"
"Asha is really gentle when it comes to threading eyebrows. Before she even started she asked me how I would like my eyebrows shaped or if I just wanted to clean them up. Usually eyebrow threadists just shape how they want without asking and you have to tell them. She was very sweet and soft spoken and doesn't mind same day appointments as long as you call and give her notice." "I appreciated the friendly customer service and that she was very good and patient with me (I got the full face for the 1st time and so areas were sensitive! She is really great threader. I will recommend her to all my friends. If you like to get your eyebrow threaded then I will say give AIB call and I am sure you will love the service." "Outstanding service and great skills/design for eyebrows! Asha styled my eyebrows and my eyebrows are thick, yet grow wild and long. She styled them exactly the way I liked them...and I didn't even have to provide a lot of details. She really cares for your "look" and well-being. I will definitely be back! Check her out - Mansfield or Grand Prairie location"
"I went to get my eyebrows done and lip. I had been to a few places and never was happy with the shape of the brow... they always took too much off. One sweet girl was there, and she listened to my needs and was so good! Super professional and nice and my eyebrows have never looked better. She also made helpful suggestions about growing hair back. My lip threading was good too. I only waited a few minutes and then uhhhhhhhhhh!!!!! I have found my threader! And yes that place was also near to me..love it!!! They are also full service salon so I also got my Hair done too. All I can say they have the best threader and best hair stylist. Thank you so much for doing such a wonderful job on my threading and Hairs both. Keep it up guys." "I tried so many threading salons but never get the good result. But now I want to say I found the best threading salon in the dfw, which is Aib Salon. I love the way my brows looks since I start going to AIB Salon. My husband never notice any thing but since I found AIB Salon, every time my husband says you look good. You guys are the best." "I thought threading is very painful but when I go to Aib salon and get my threading done I have to change my view about threading, now I am fan of threading, they does wonderful job. I love it." 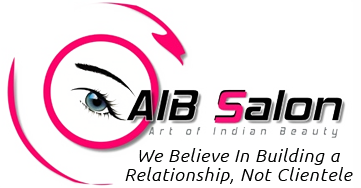 "AIB salon is doing excellent job in Eyebrow Threading. I love the way my brows look after my visit to AIB. Also they are full service salon where next time I can get my haircuts and colors too. They also do Facials, body wrap and eyelashes extensions and lots other services too. Try them out too. Their prices are so affordable too"
"I always go to Irving to get my eyebrow done, but for last couple of times I am not happy from their job so I have to find another person who can do it for me. I found AIB salon which is really close to my house. I got my full face done, I really like the service. They are really friendly and really clean salon. I was wows by the service I received on my visit. I will recommend AIB to all my friends. I think you should try them out too.‎"